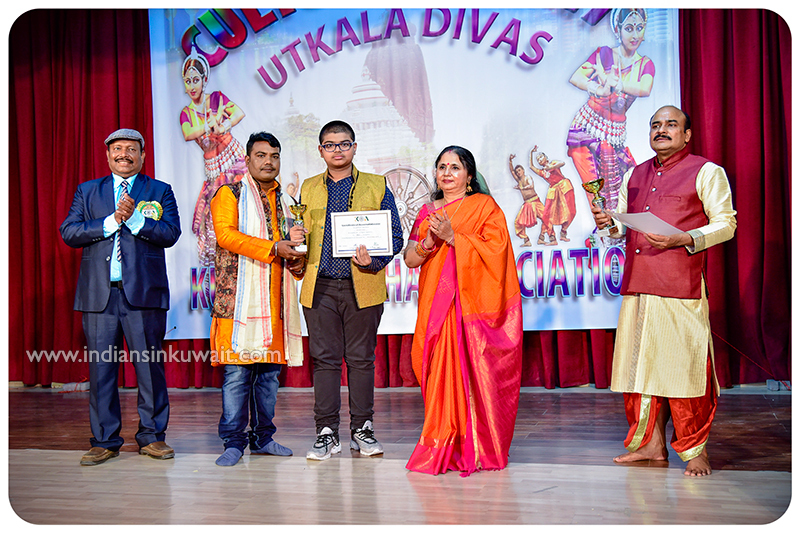 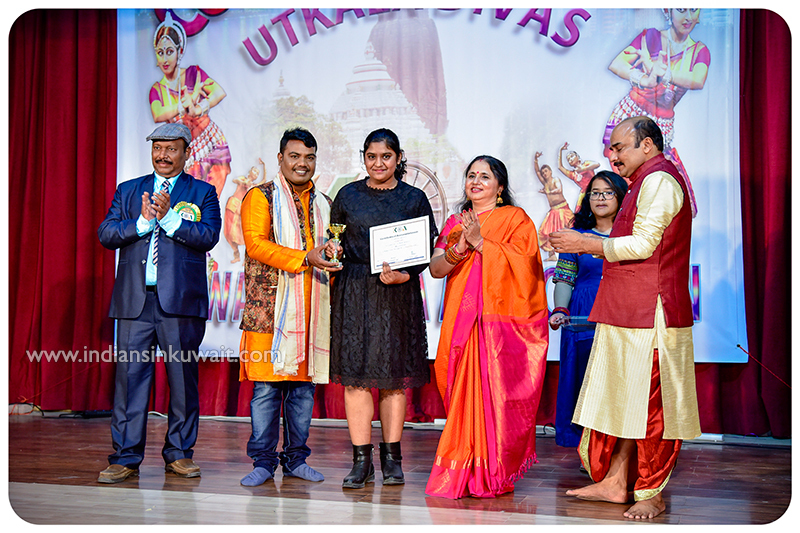 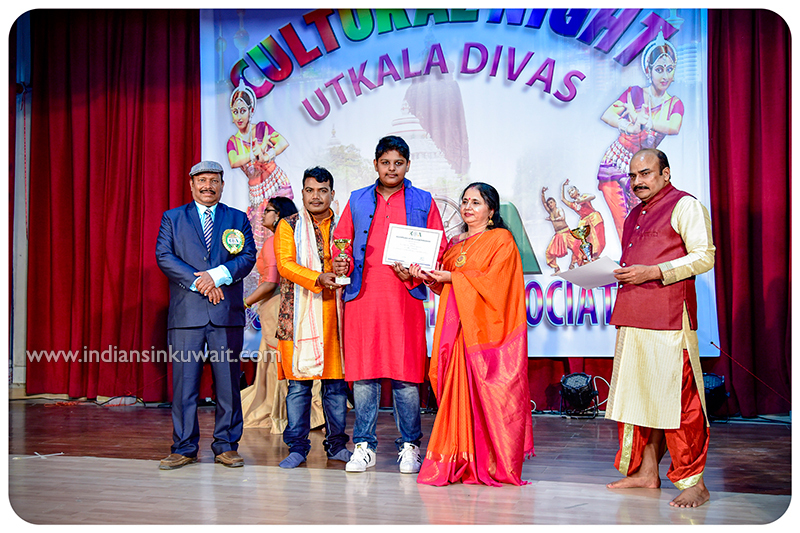 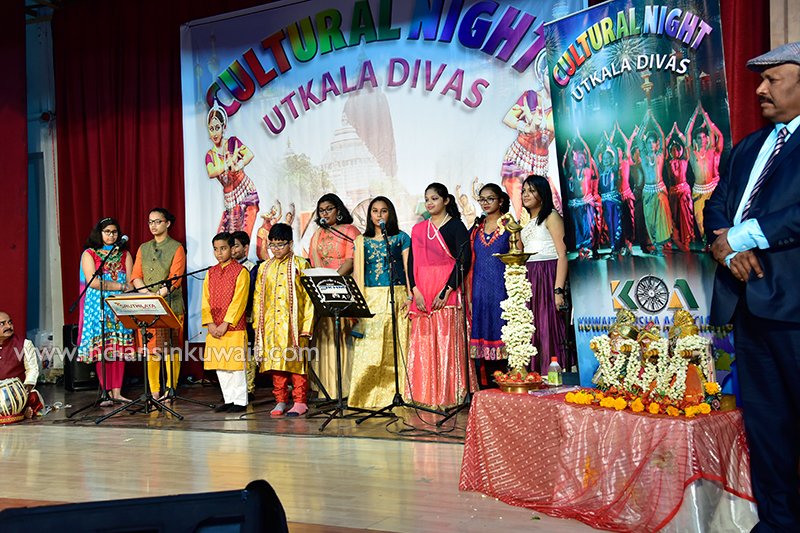 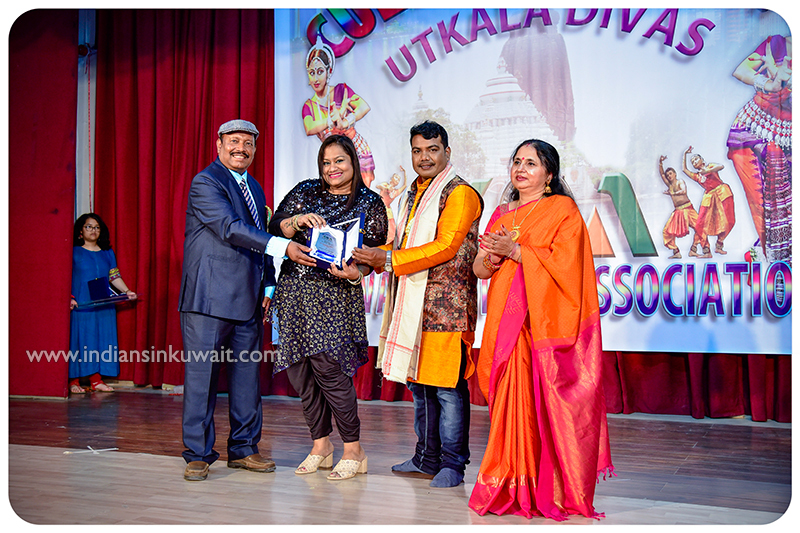 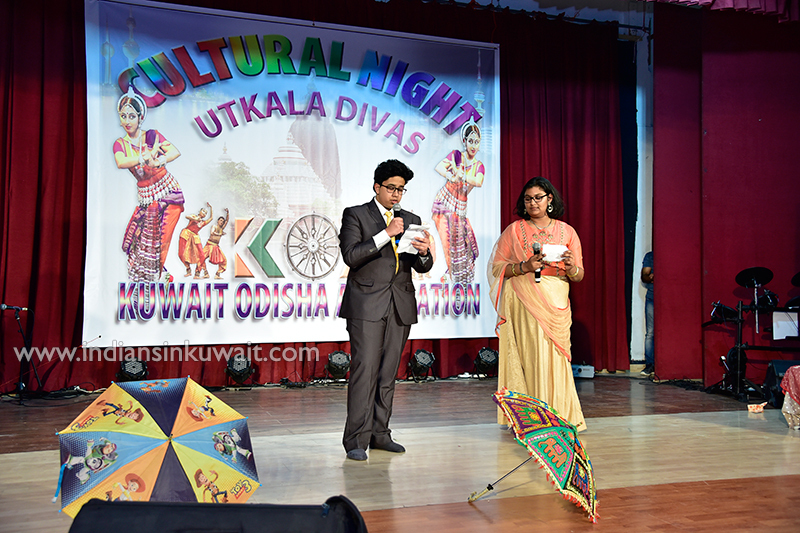 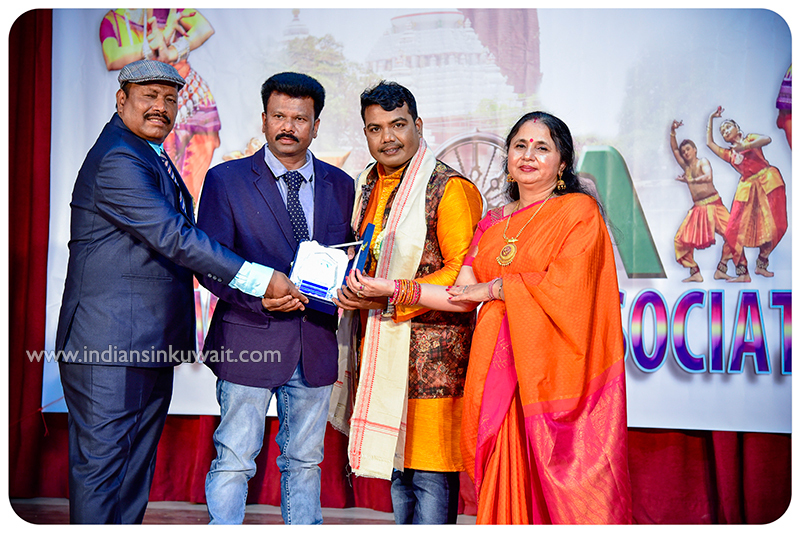 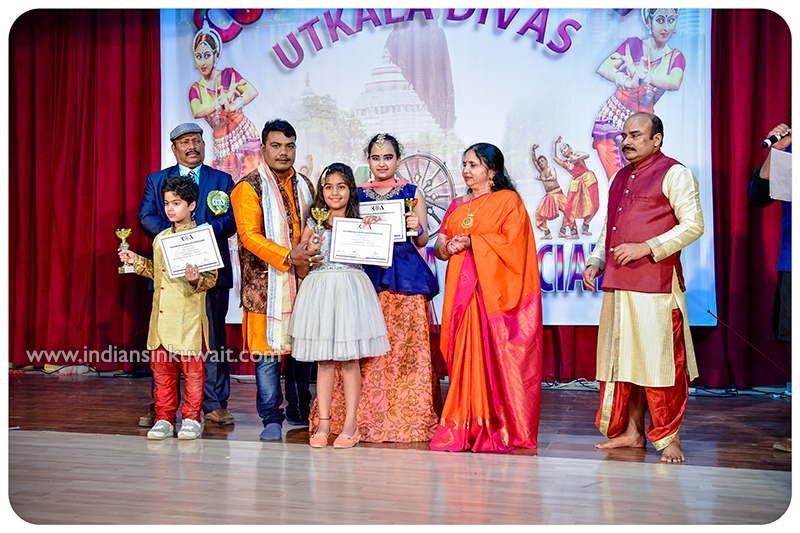 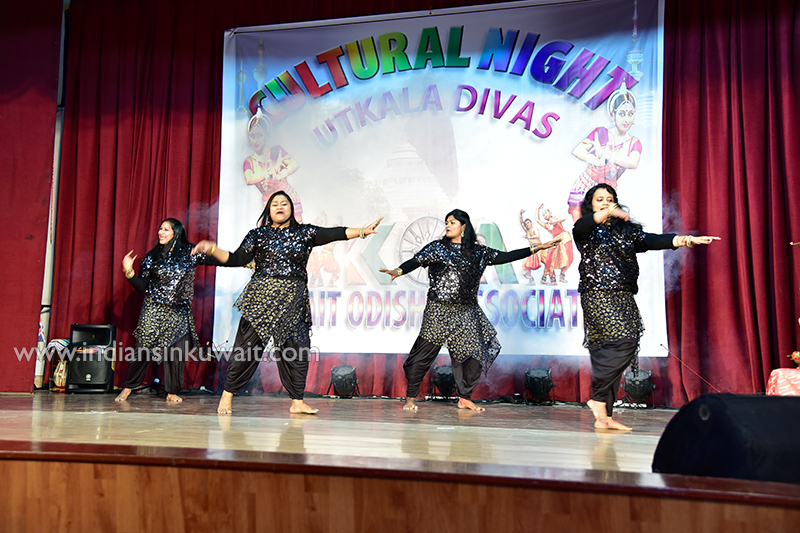 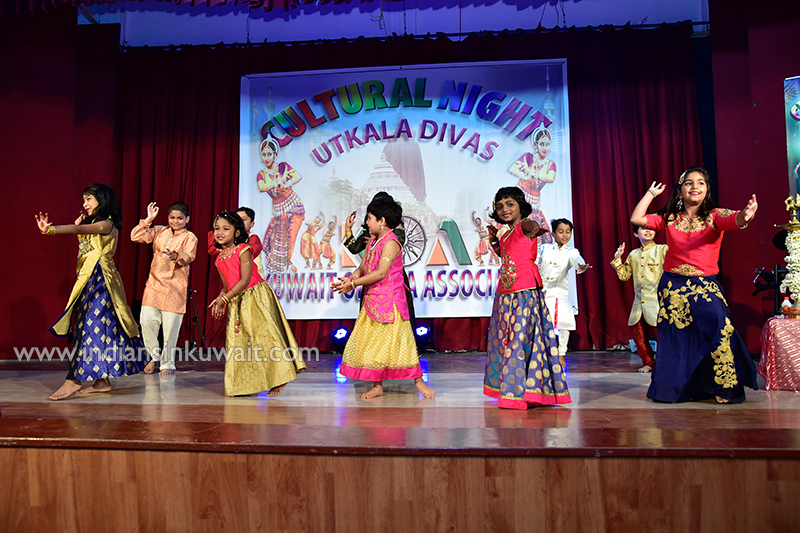 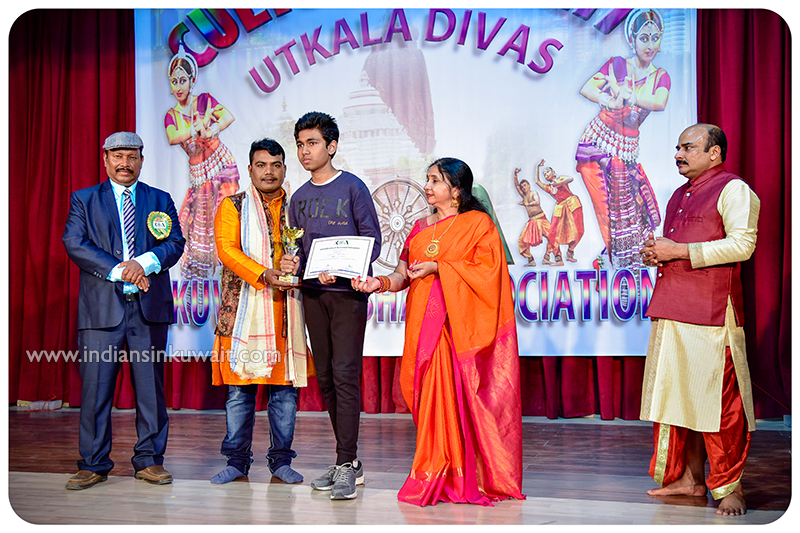 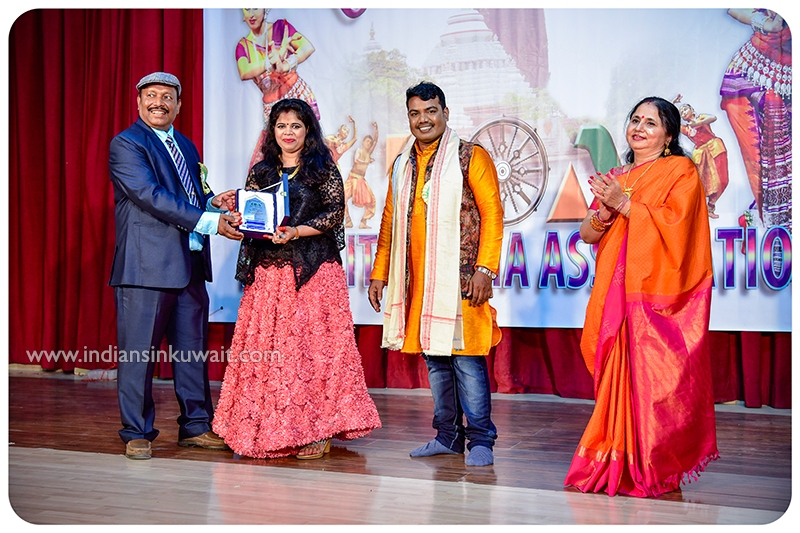 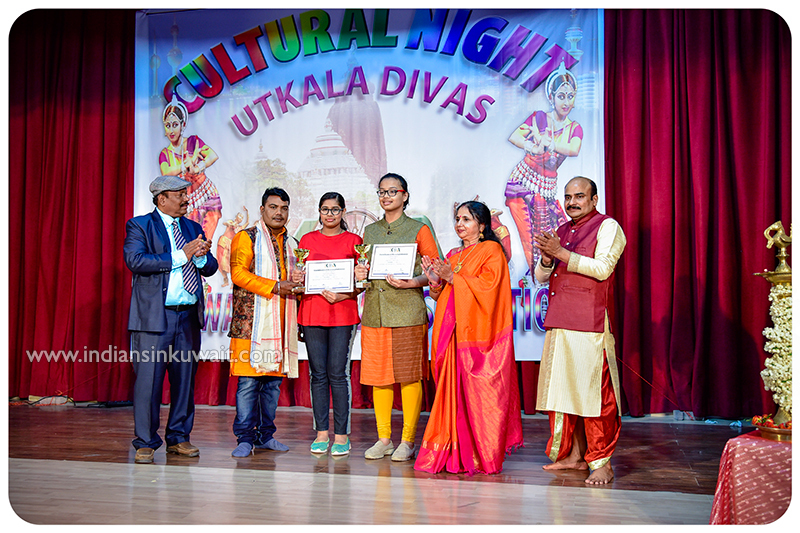 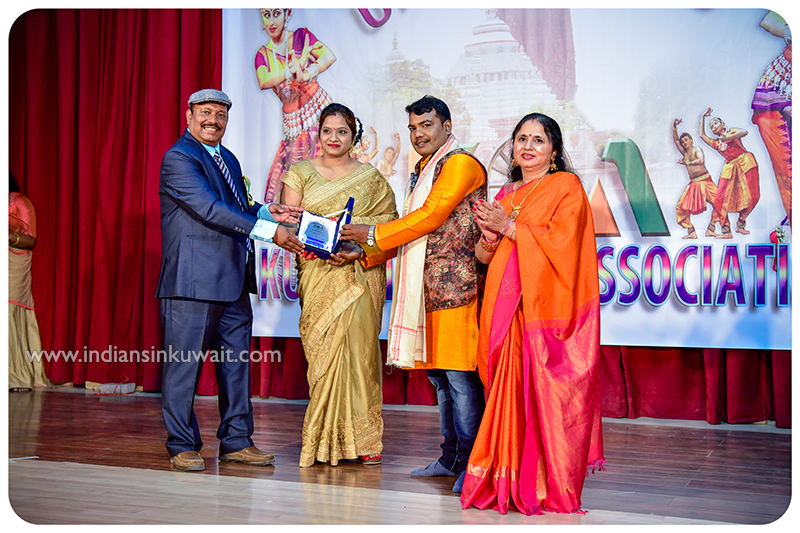 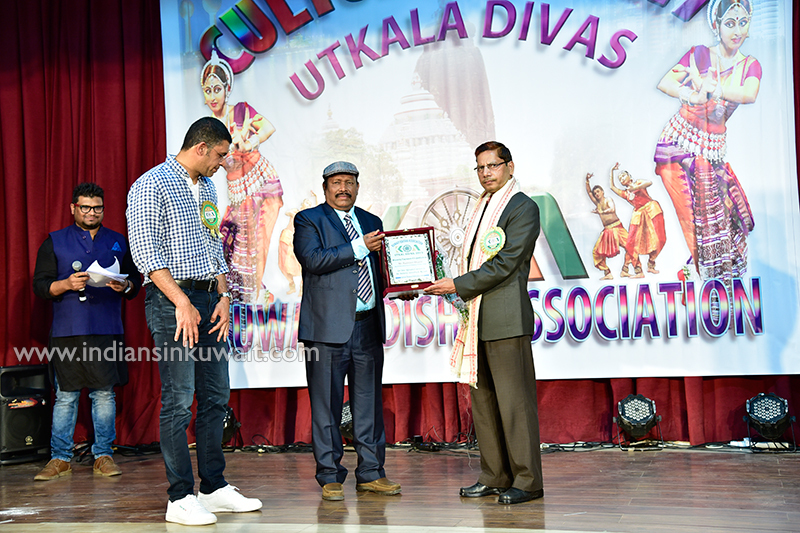 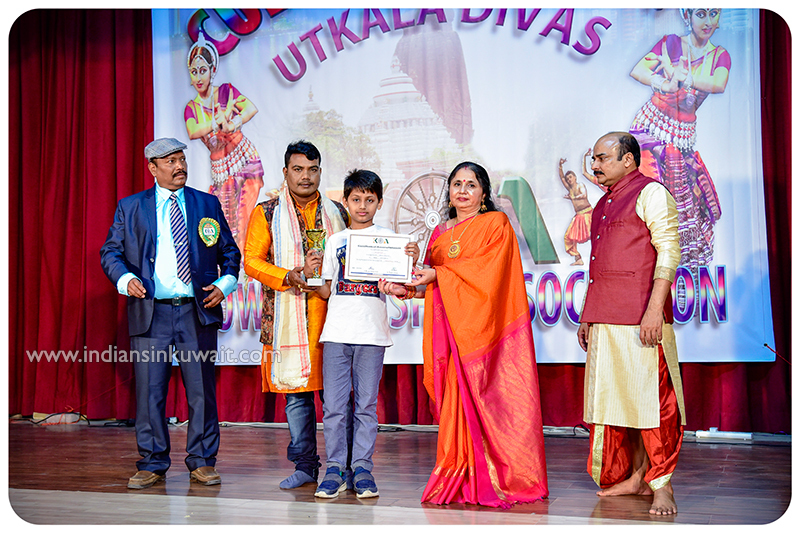 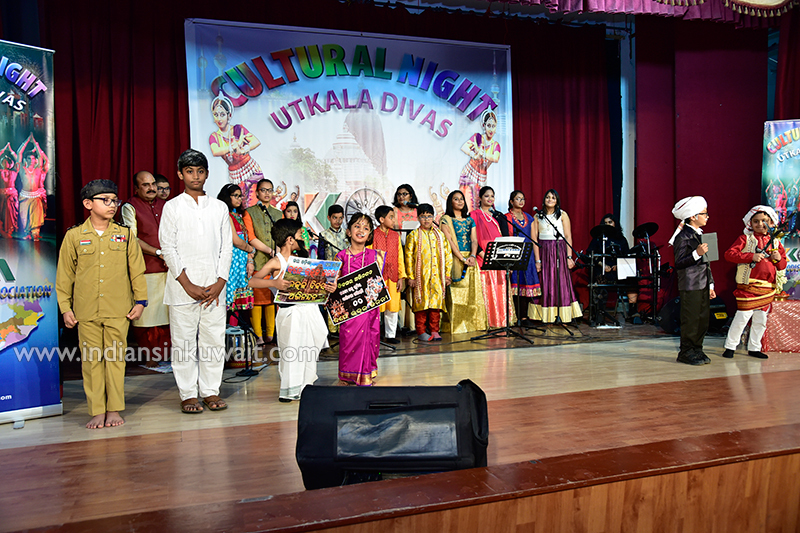 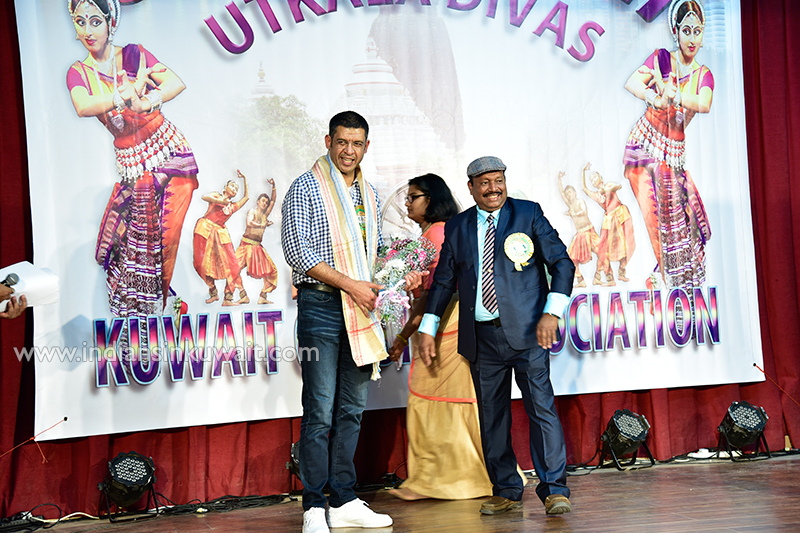 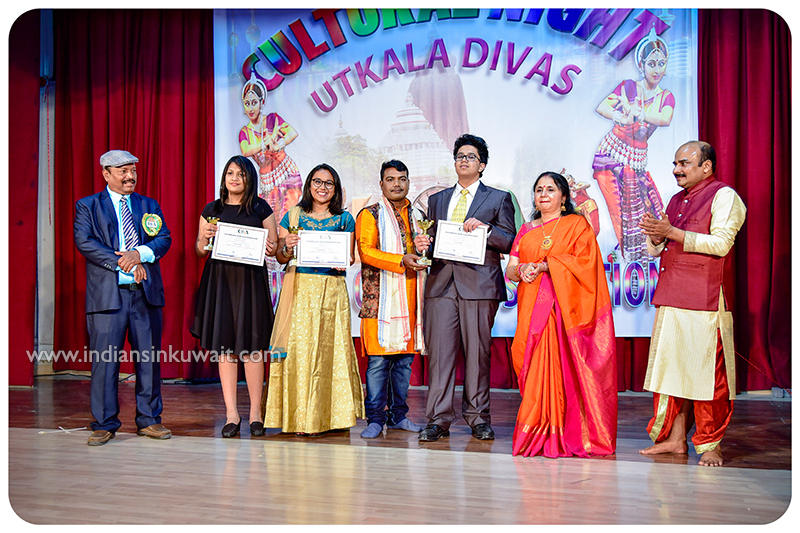 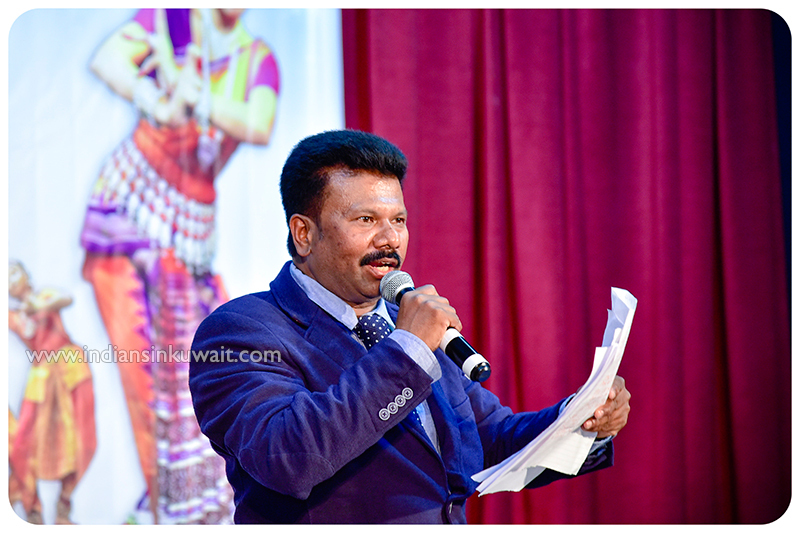 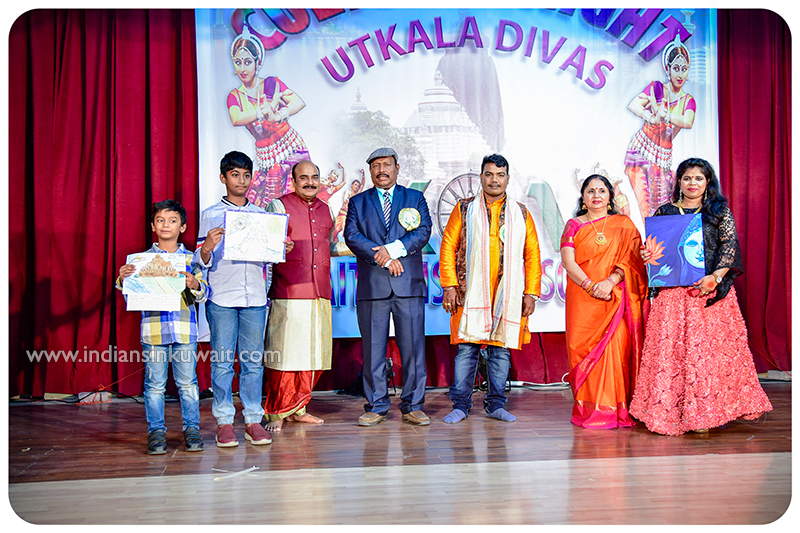 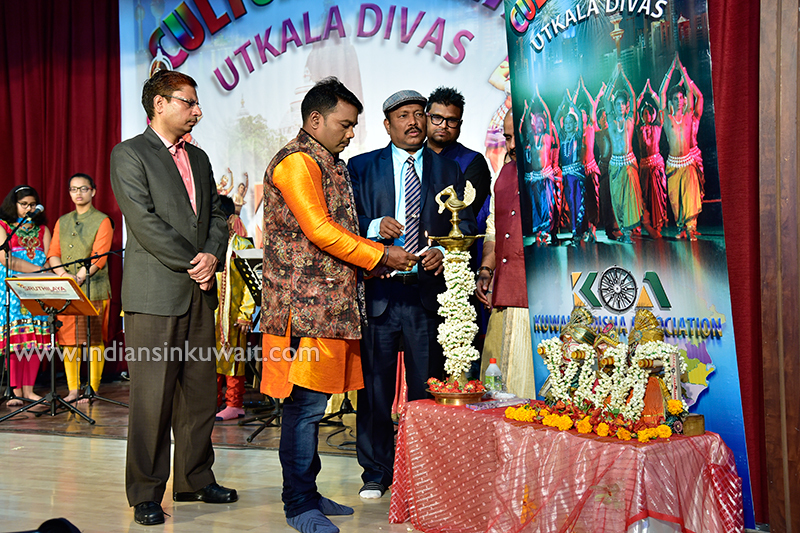 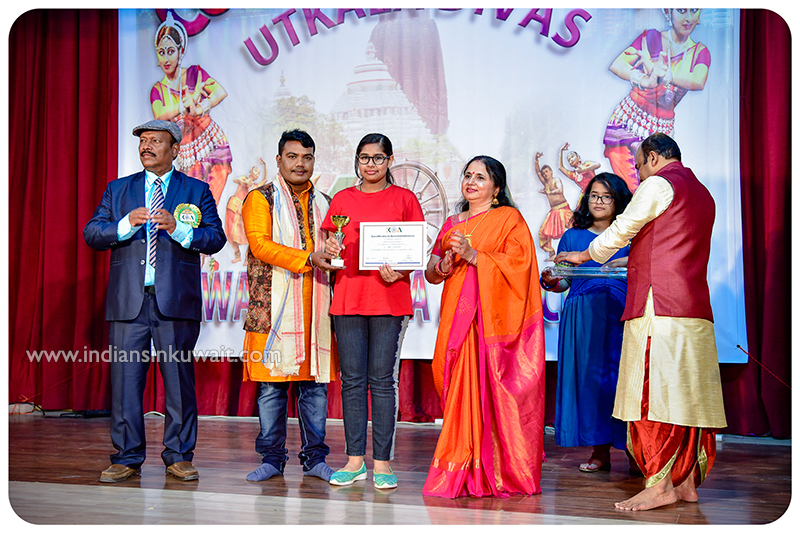 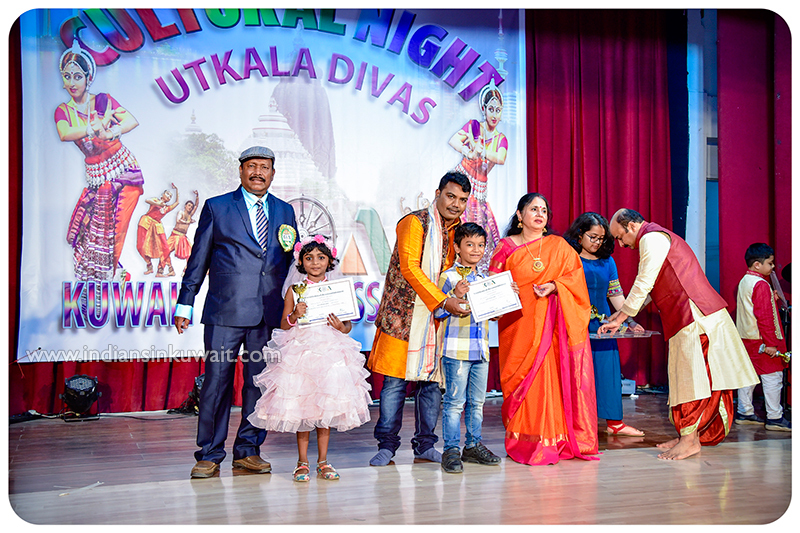 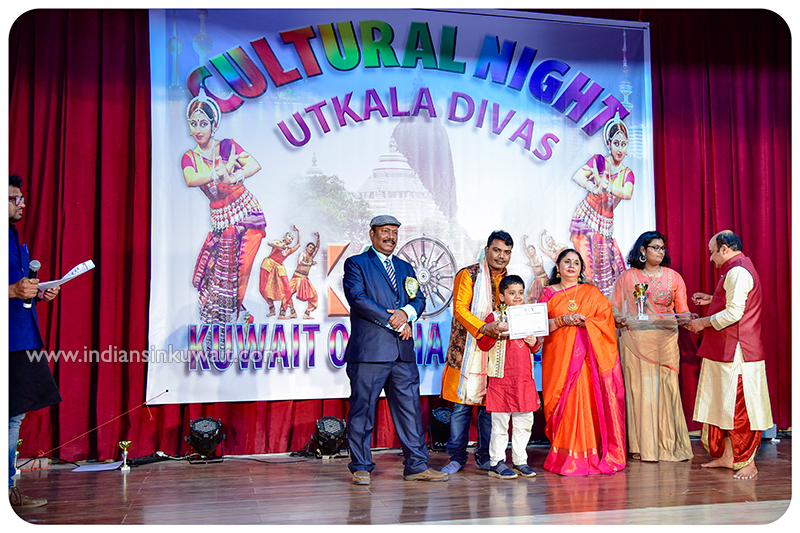 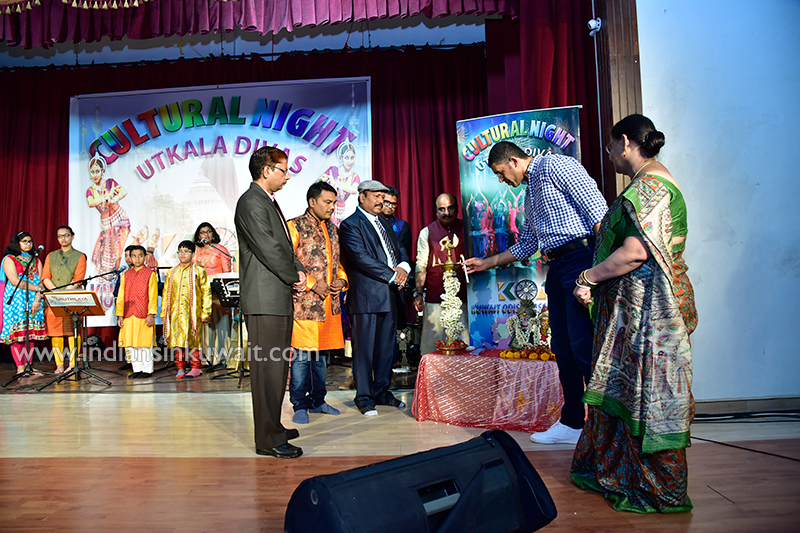 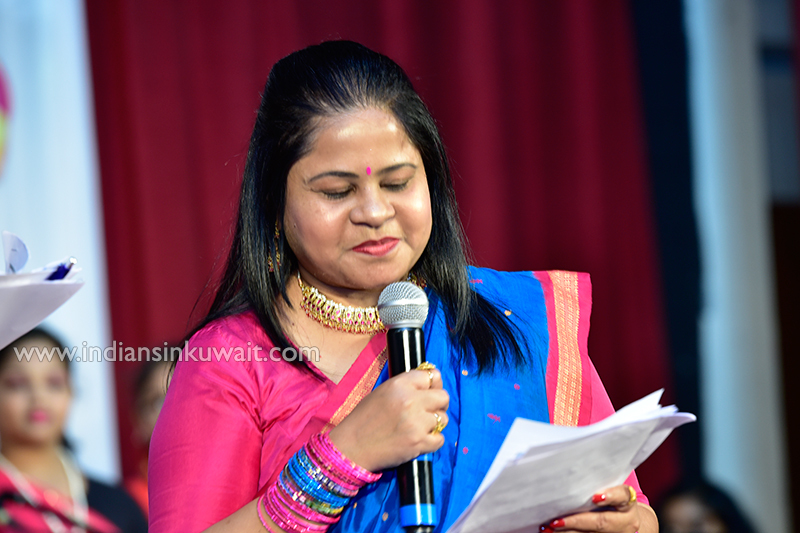 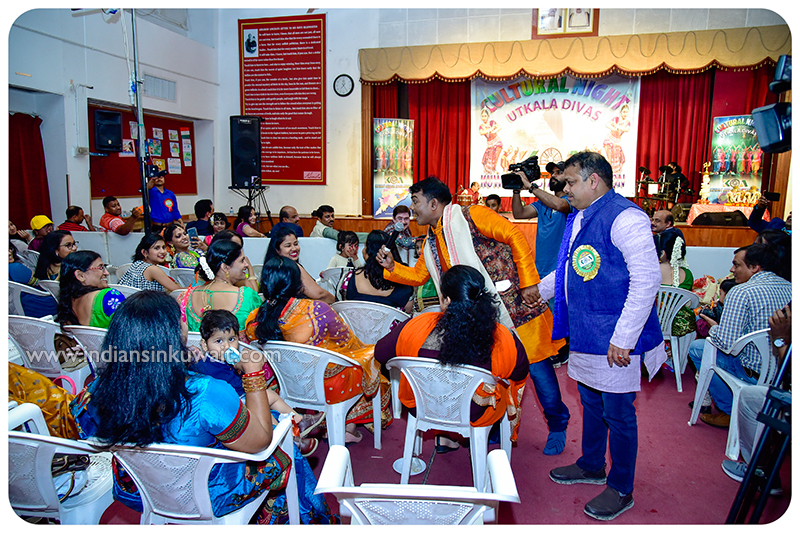 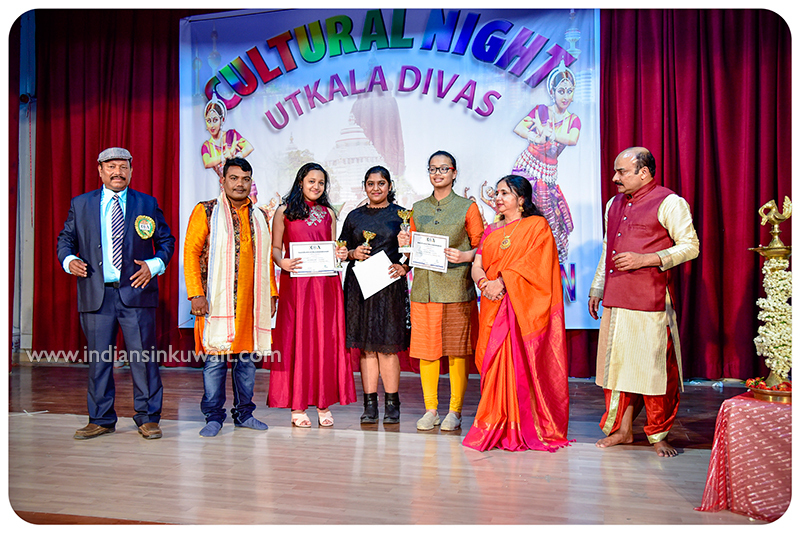 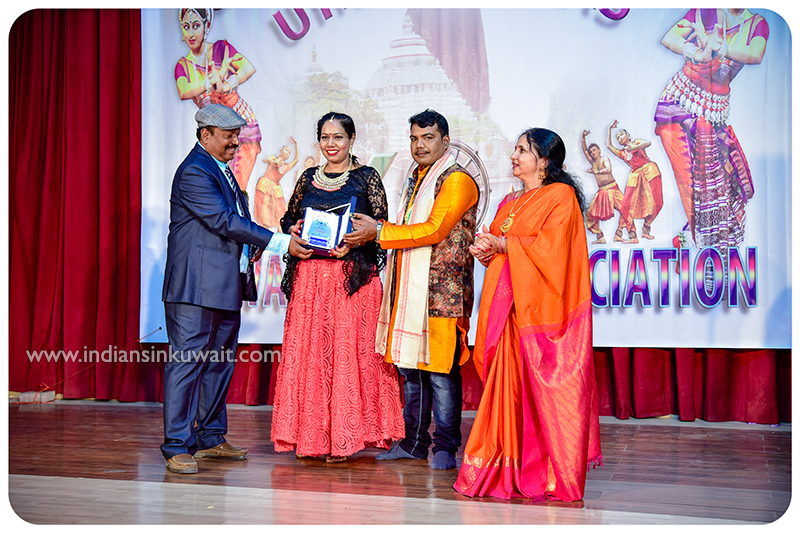 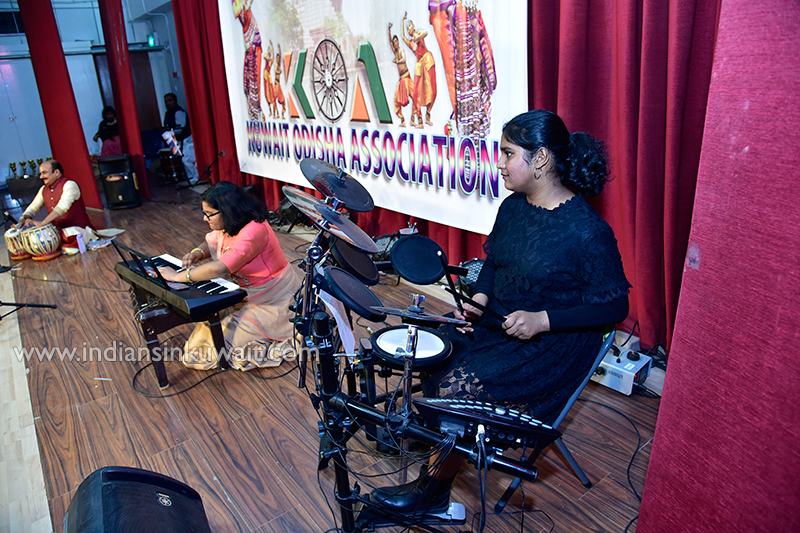 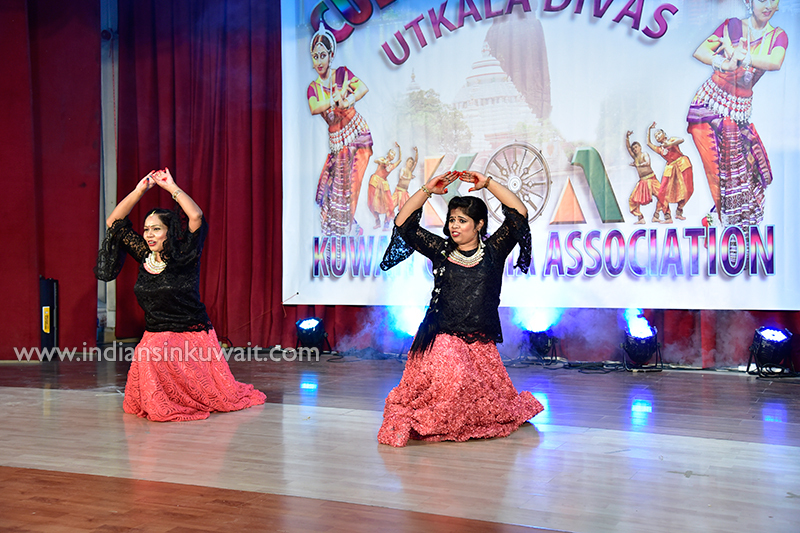 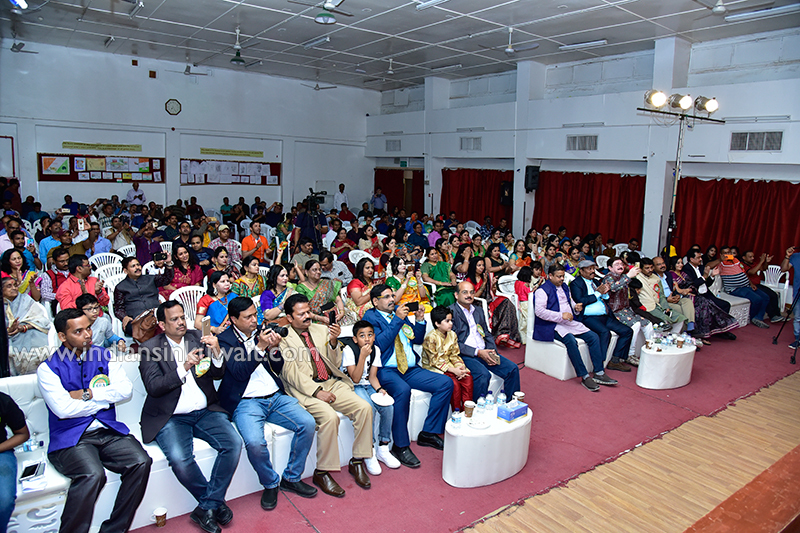 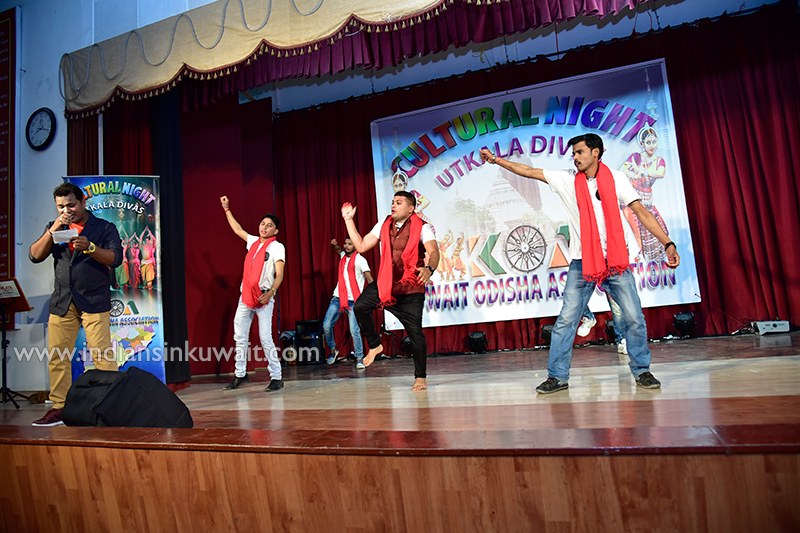 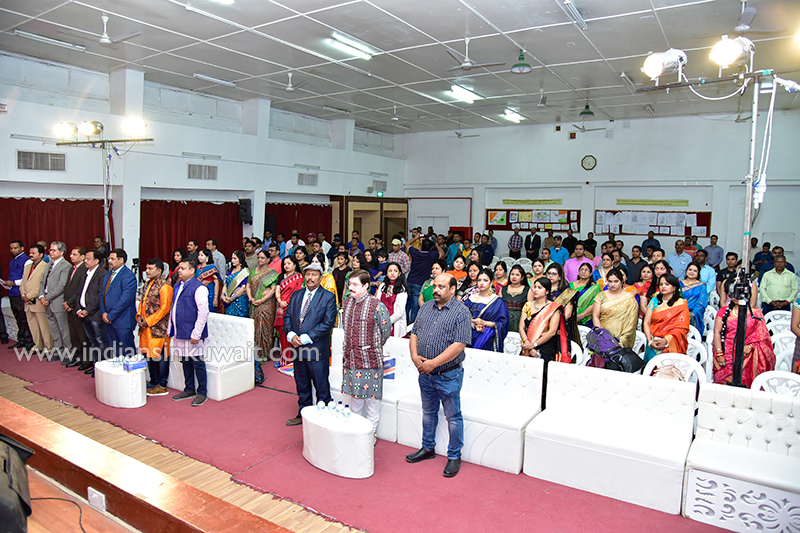 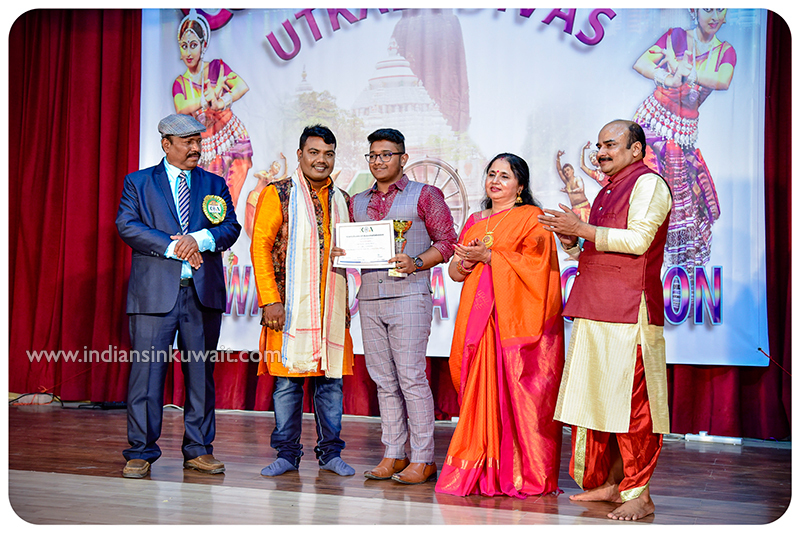 Kuwait Odisha Association (KOA) registered with Indian Embassy Kuwait since 1989, celebrated the “Utkal Divas” function, on 5th April 2019, in the auditorium of Indian Community School, Khaitan, Kuwait. 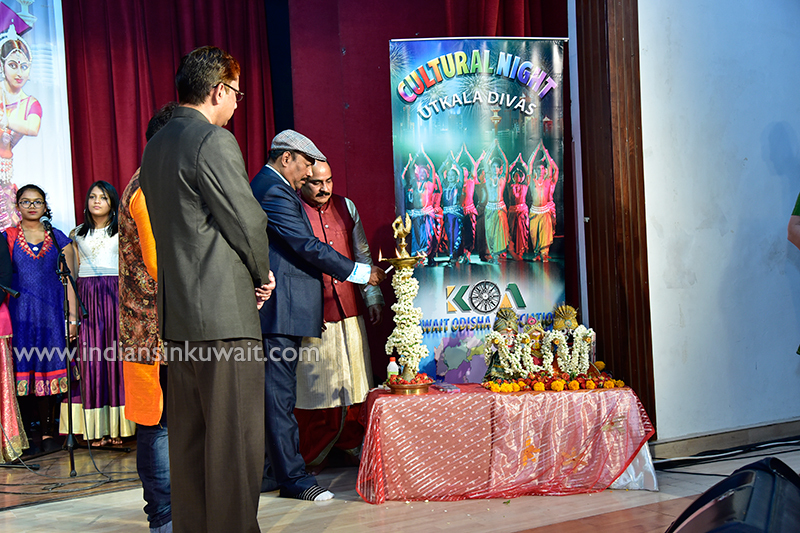 Mr. Ranveer Bharti, the 2nd Secretary of Indian Embassy, Kuwait, graced the occasion and opened the function with the lighting of lamp, along with other dignitaries. 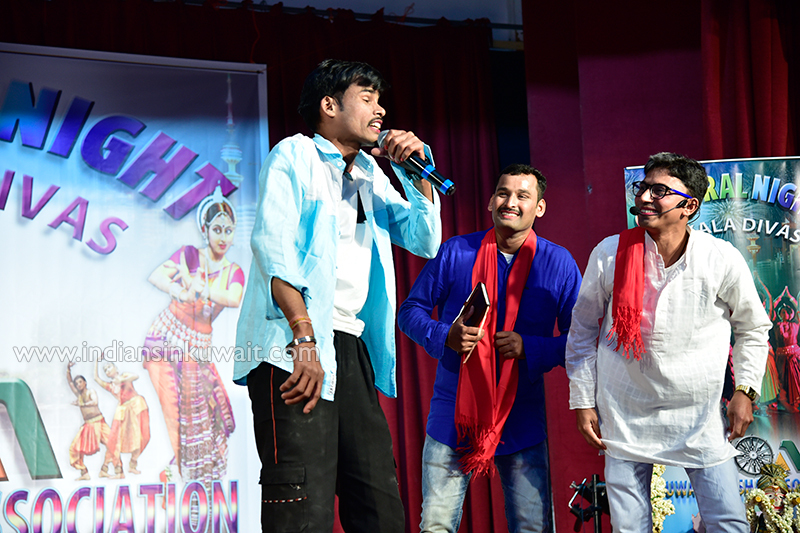 The Lamp Lighting ceremony combined with the playing of shlokas in the back ground, brought a serene atmosphere and followed by the opening song on ODISHA “Amara Janama Bhuin” by Odia kids and directed by Shri. 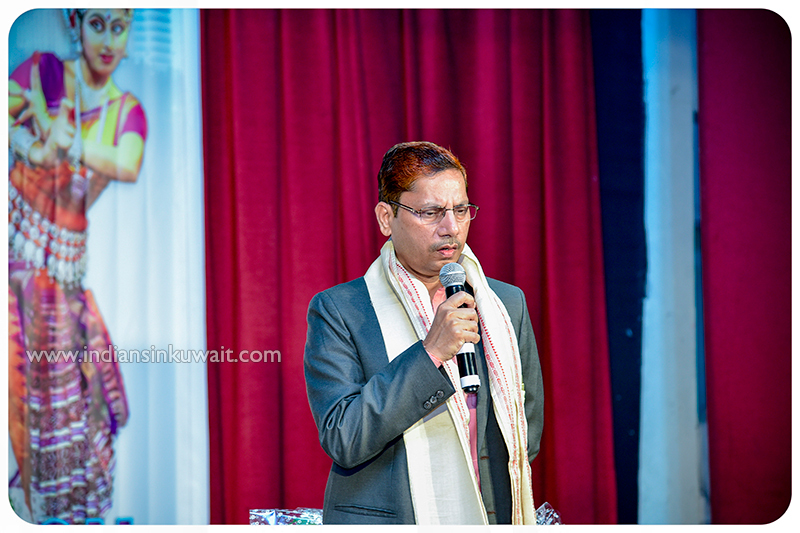 Manindra Pratap. 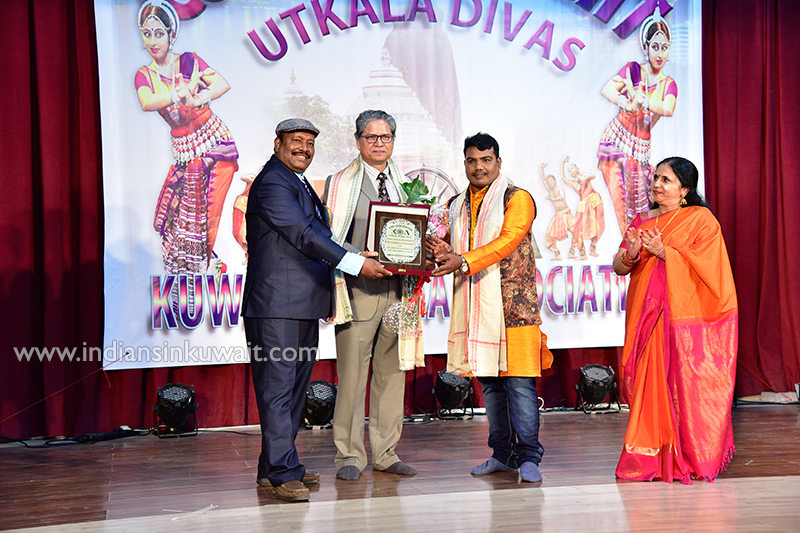 Mr. Bharti, in his key address, expressed his gratitude to KOA in their contribution towards keeping up Odisha’s glorious culture in far country of Kuwait. 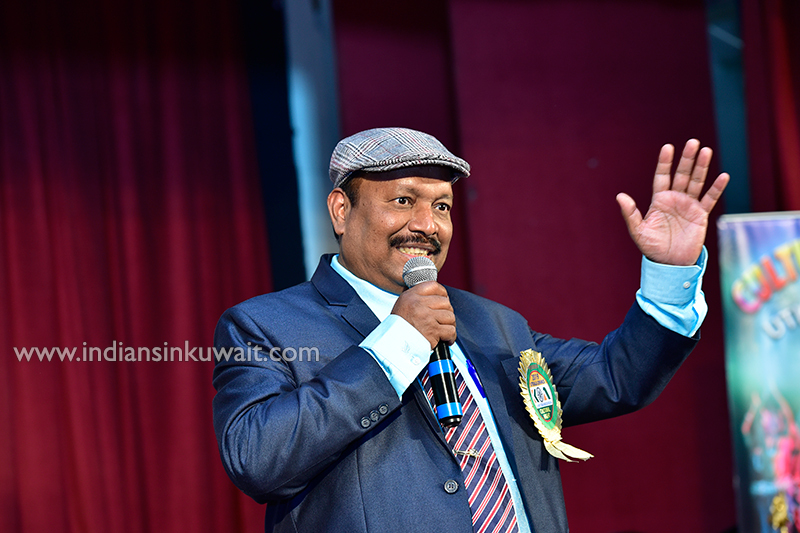 Mr. Yacoub al Hamad from KOC also addressed the gathering with his short and sweet speech. 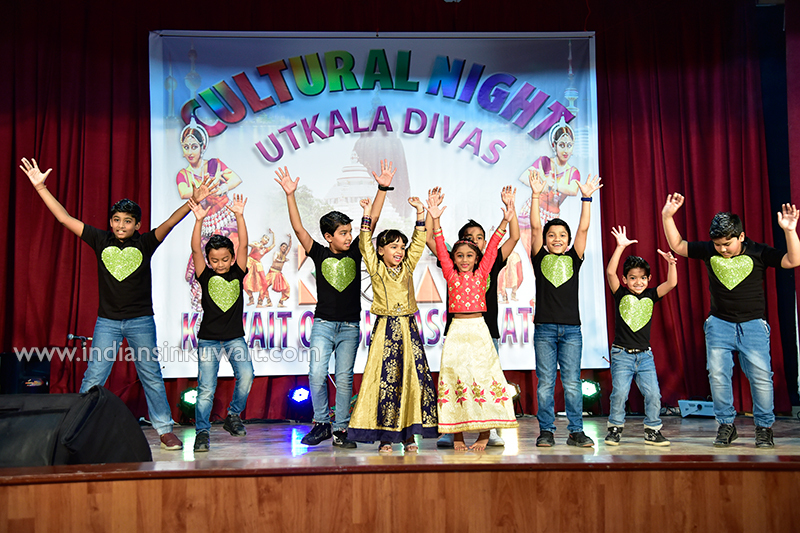 The cultural programs, started with Ganesh Vandana, followed by the dance numbers “Rimjhim Pani Barasuthila” and “tumse milke dilka haal + kajra re (Mix)” by children. 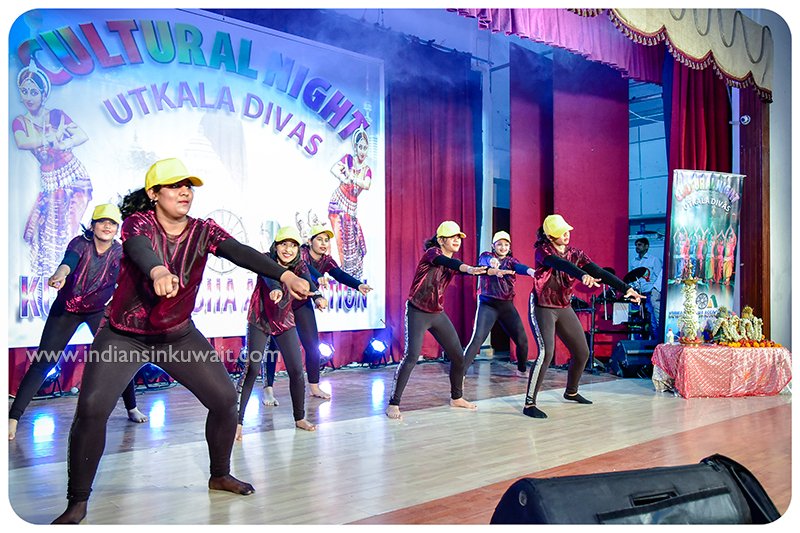 When the junior girls danced the popular number Nahin Mo Pade Aaji Nupura, the hall was electrified with joy. 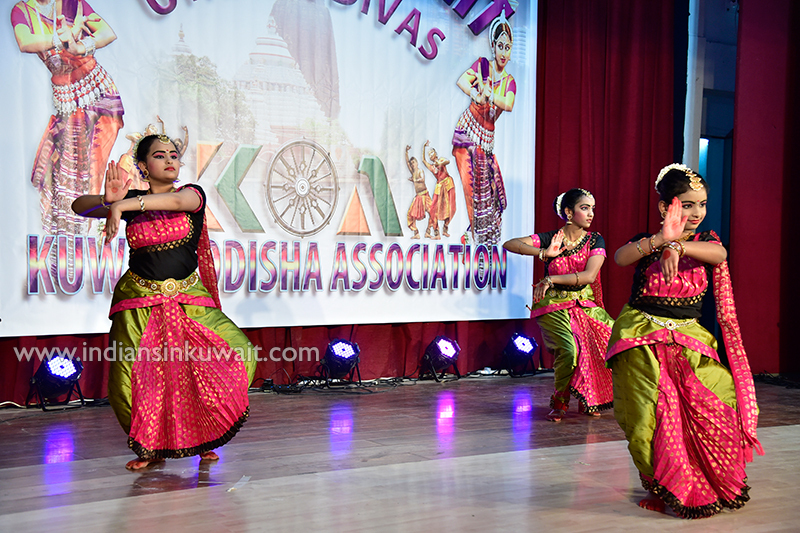 Ladies also put up a stunning performance with medley “Loung Elachi”, “Gada ta Gada Athara Gada” and “Kahana e phula kahana, Chulbuli Prajapati, Mu khanti Odia Jhia (Mix)” dances. 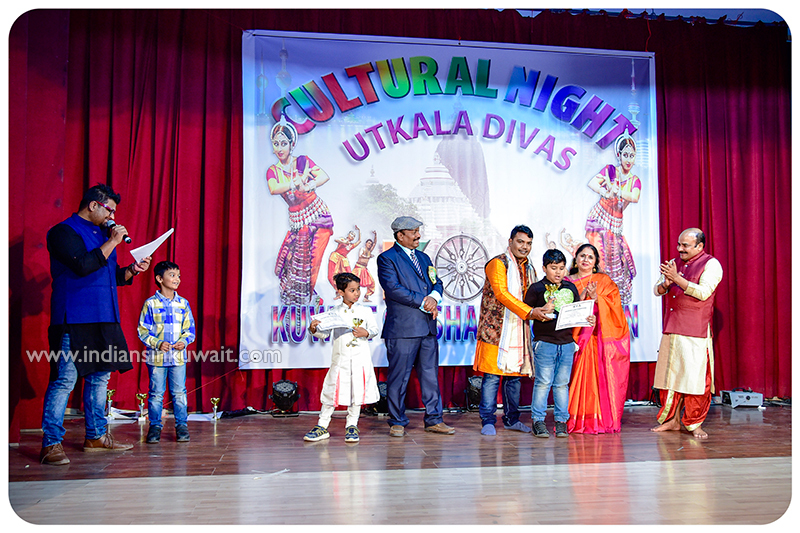 Everyone enjoyed the dance “Mu Odia pua Bhari Swabhimani” by boys .The hall was reverberating with clapping, when the medley Chulbuli Prajapati and mix are performed by Ladies. 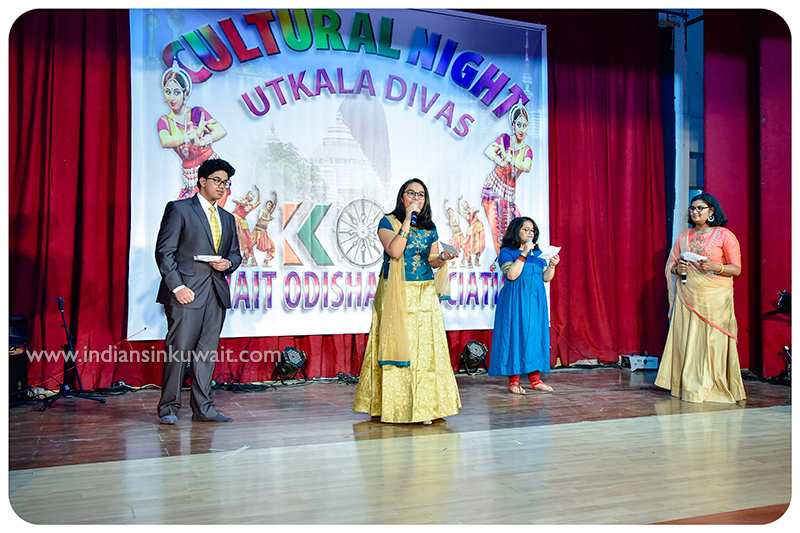 These Dances were choreographed by Bubbly Mishra, Rashmita Panda, Shivani Ravi, Lipsa Sahu and Biswaranjan Sahoo. 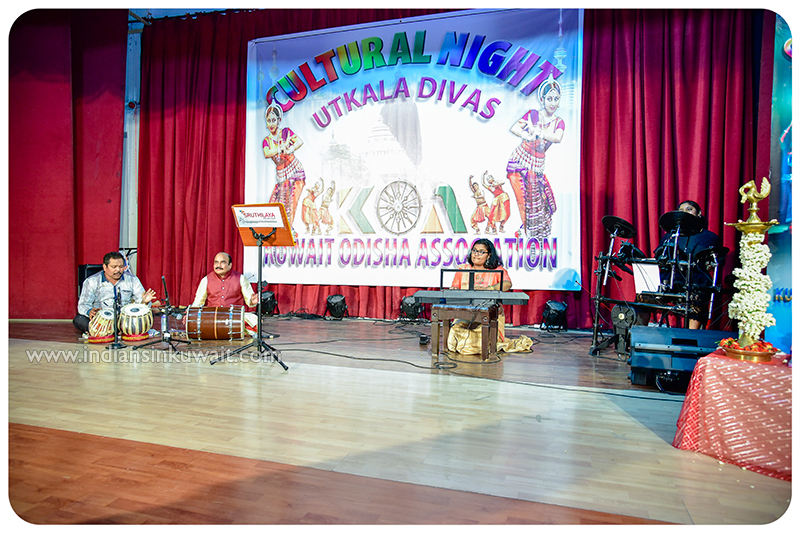 Famous Odia singer, Shri Sricharan Mohanty enchanted the audience with his bhajans dedicated to Lord Jagannath….The hall went into frenzy, when he started very popular "Nilachala Dhama Jaimun Paruni; Eithi karuchi dandabata; Hey Jagannatha"...His voice and unique style of singing in both fast and moderate pace, classical and contemporary, was enjoyed by all present there… Many popular numbers like Tu tu tu tuhu re mora kalaa kaudi…and other bhajans charmed everyone to join him by voice. 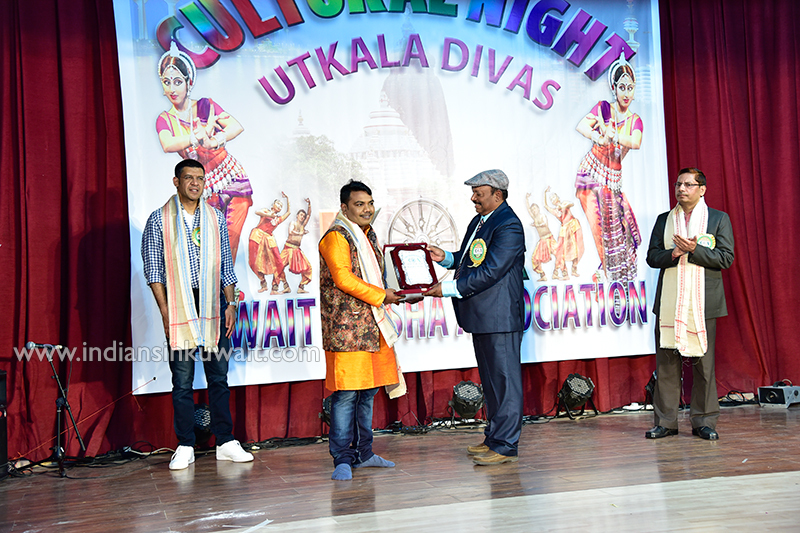 When he presented Chakulia Panda, he transported all odias to traditional odia village days and reminded famous folklores of Odisha. 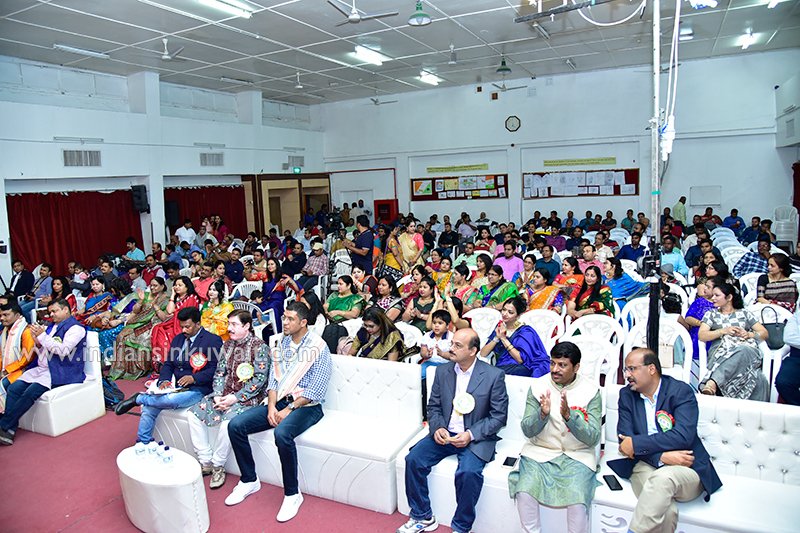 The interactive experiment was savored by every Odia. 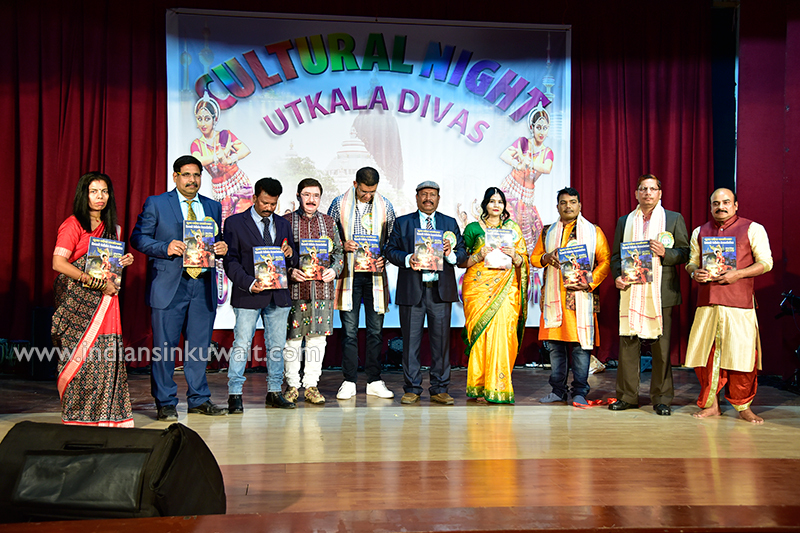 A colorful souvenir KOA Smaranika_2019, edited by Shri Sunil Panigrahi as a whole with cover design by artist Shri Santosh Mishra and odia articles, edited by Shri. 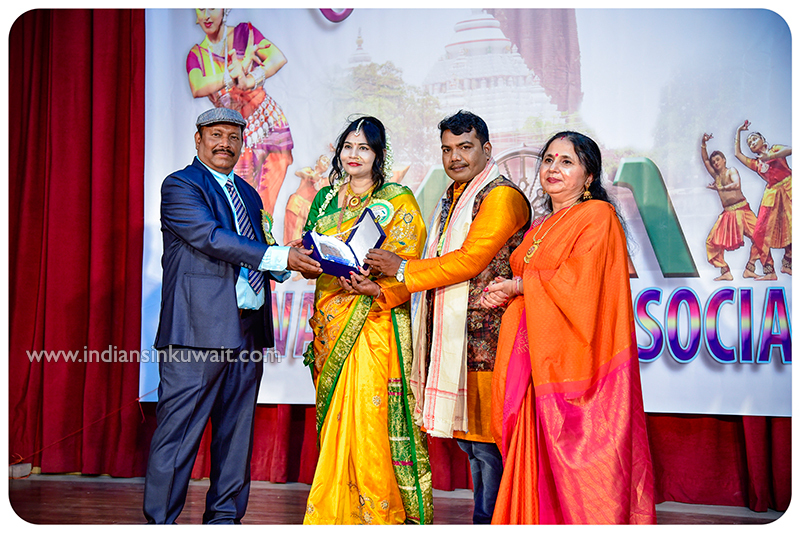 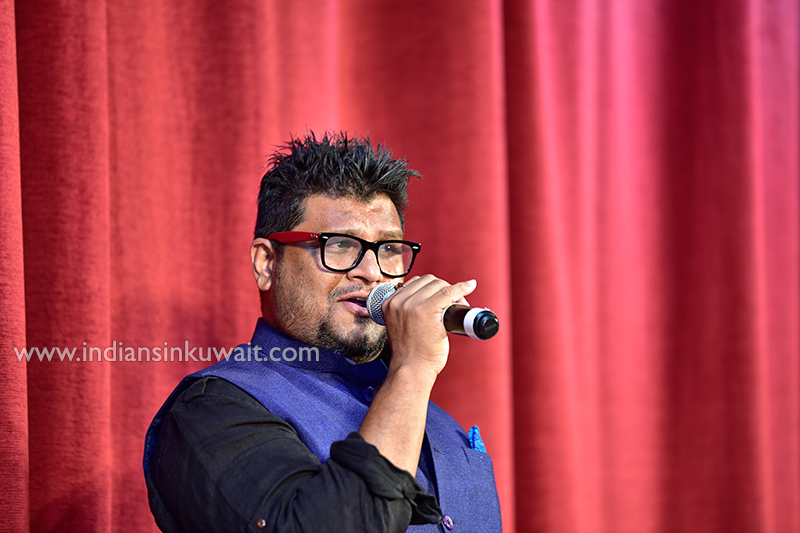 Manindra Pratap, was also released capturing the literary talents of Odia’s in Kuwait. 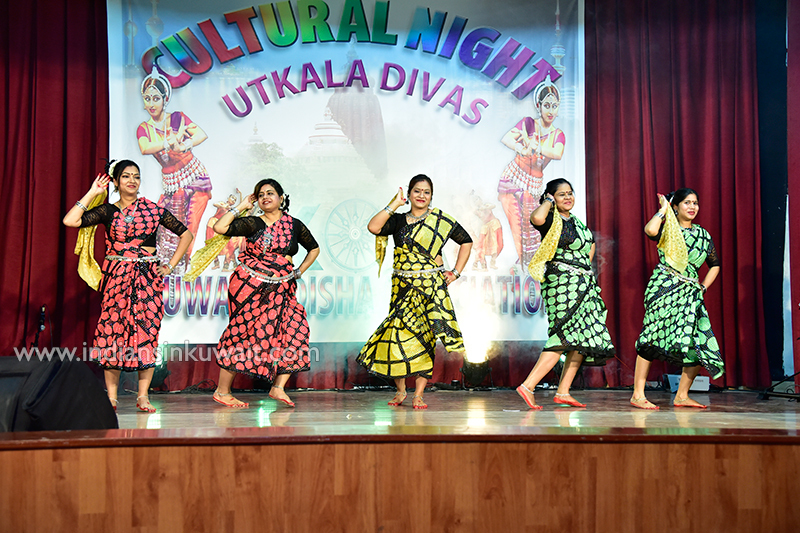 It also informed the pictoral details of various annual events, like Raja Celebration, Cricket Tournament, Kumar Poornima, Pakhala Dibas, and Winter Picnic etc. 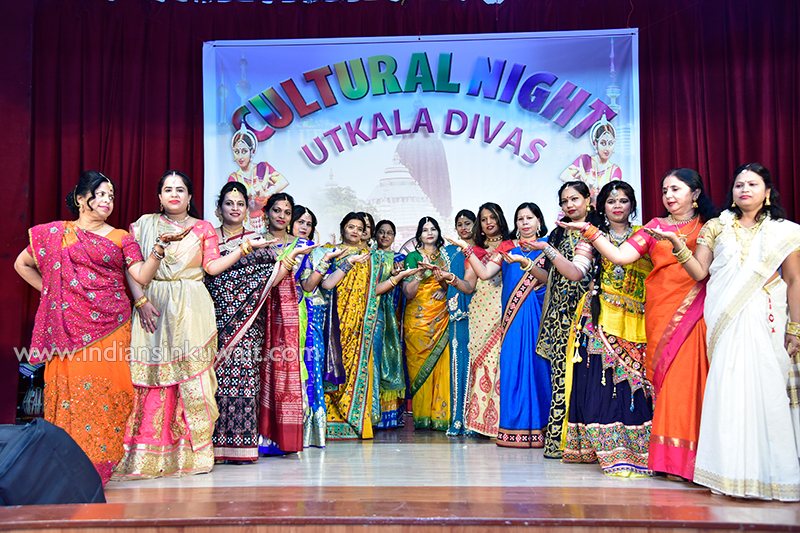 The show stopper was a Fashion Show, captivated everyone`s attention, when ladies paraded with not only popular Odia handlooms like, Bomkai, Pashapali, Samabalpuri Sarees, but also in artistic Mysore Silk, Katha Embroidary, Dharmavaram Silk, Pochampoly, Jamdani, Chaniyocholi etc. 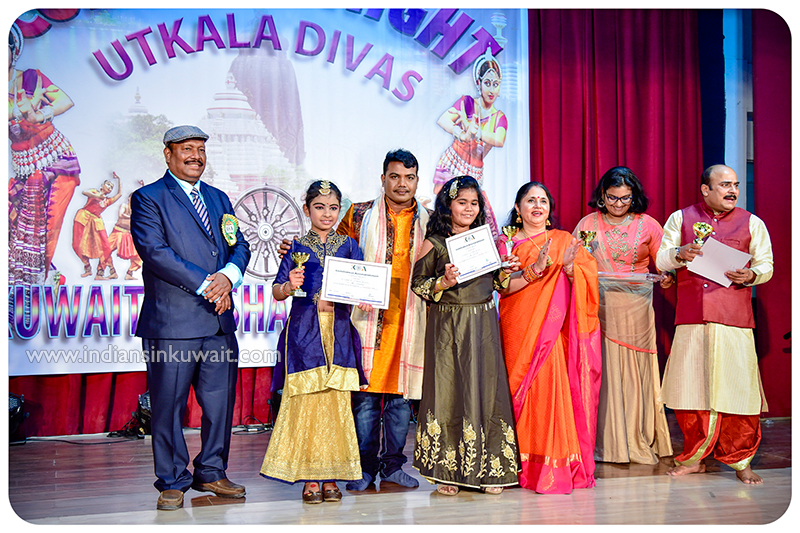 from other states of India. 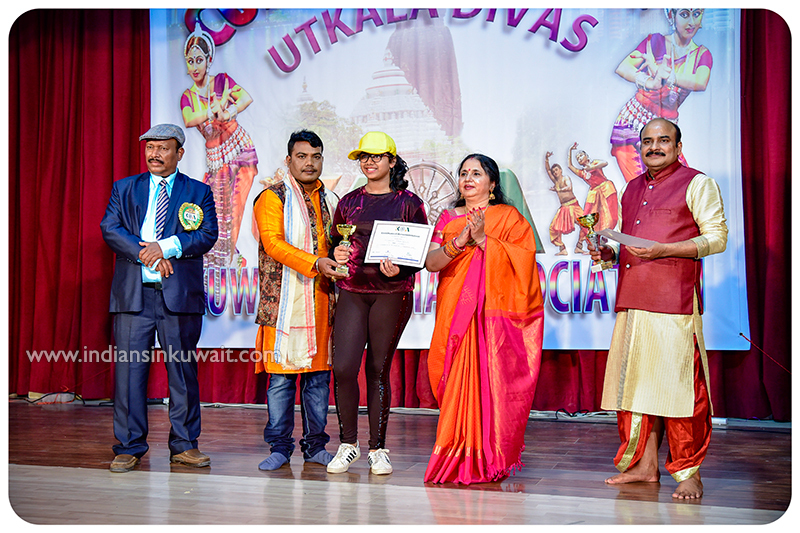 It is choreographed by Mrs. Rashmita Panda and Mrs. Pranati Pattnaik. 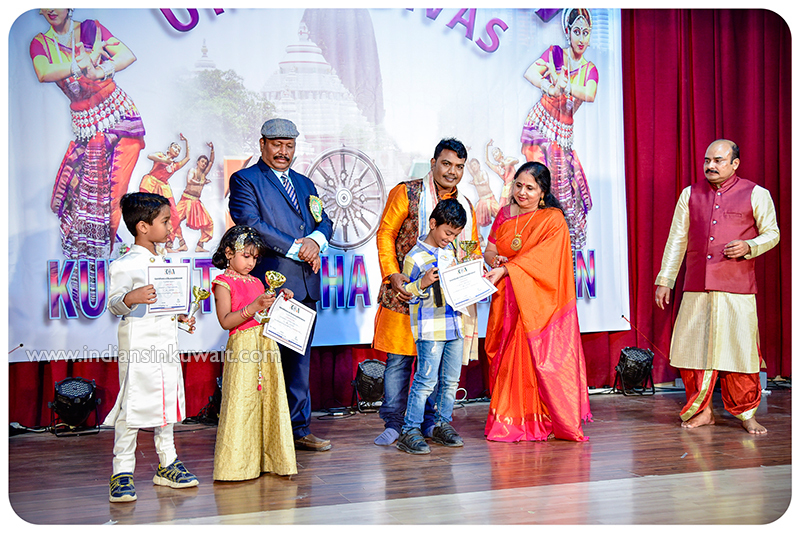 Soon after, the prizes were distributed to talented Odia Children for various competition, Just a Minute (JAM), Creative writing, drawing, Chess Competition and Fancy Dress amongst rounds of applause. 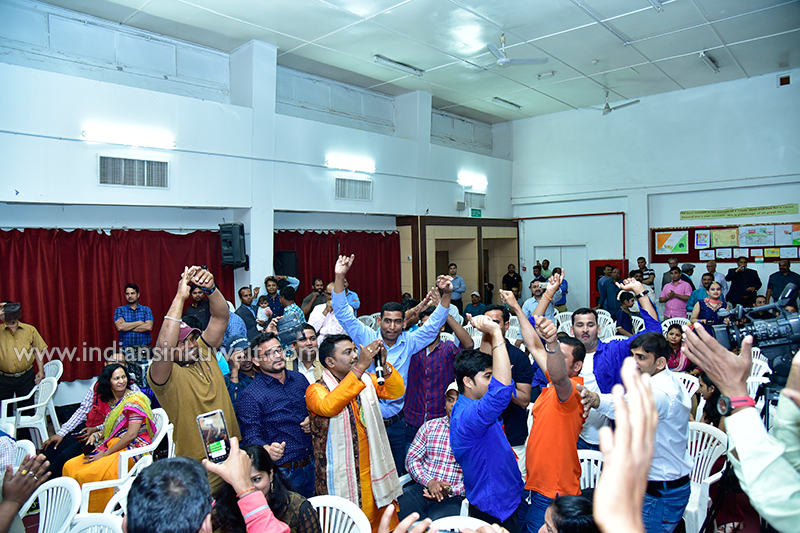 The function was concluded with a vote of Thanks by KOA General Secretary Sri Biswaranjan Sahoo and followed by dinner comprising delicious food, sweets prepared by popular restaurant The Mughal Mahal. 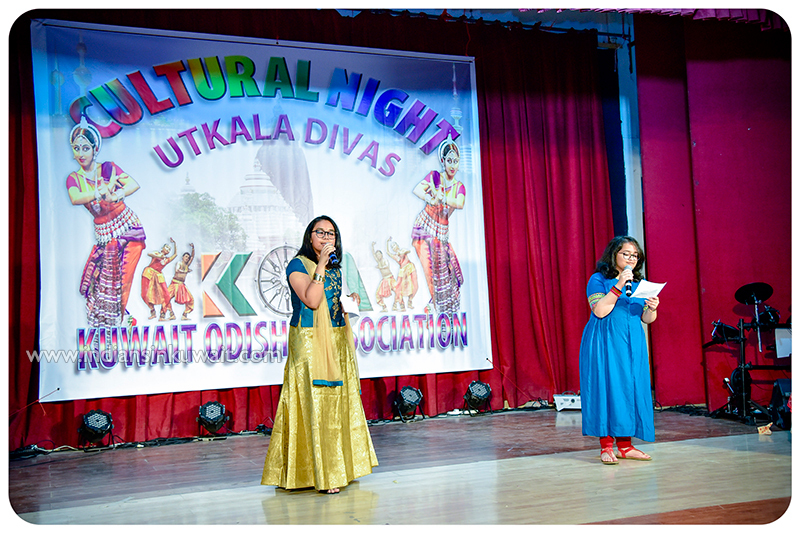 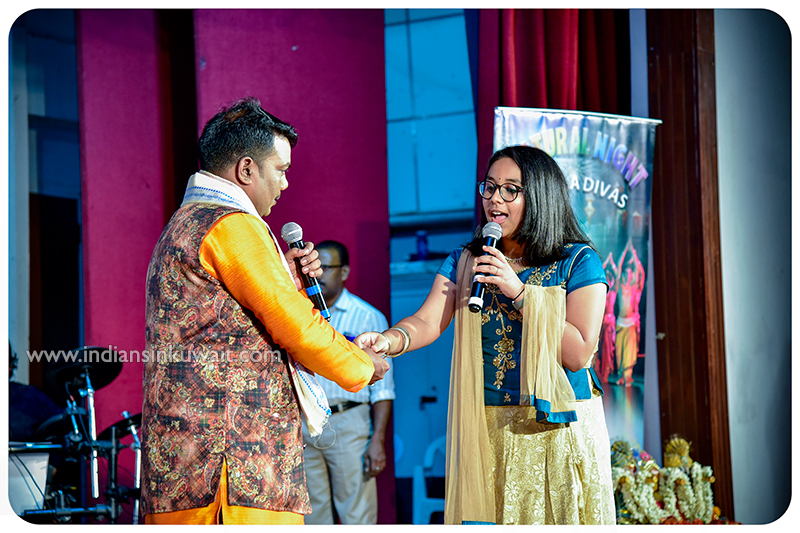 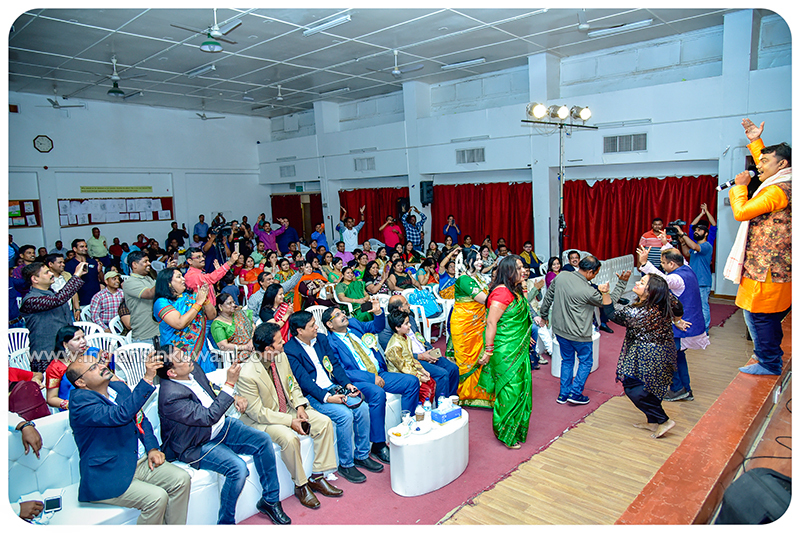 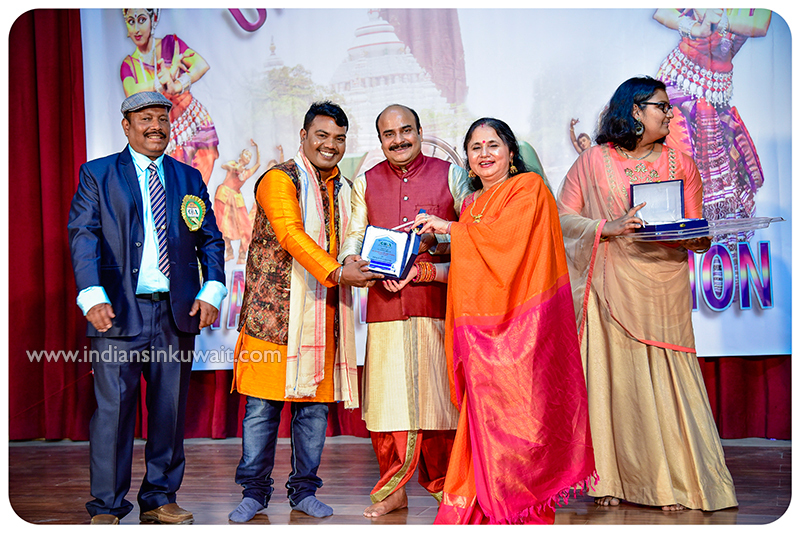 Mrs. Srividya Dalbehera and Mr. Nihar Bedbak compered the Function with jokes, songs and interactions. 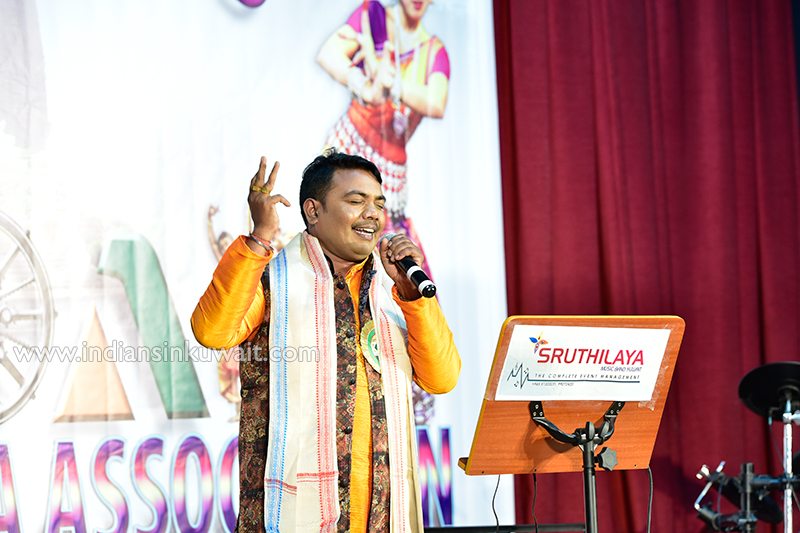 The stage was managed very well by Shri Tushar Dash, Shri Manas Ranjan Panda, Shri Satayaranjan Routray and Shri Umesh Basantia.